A lot of obstacles stand in the way of someone trying to achieve their weight loss goal, such as lifestyle factors, family history, and socioeconomic status. Researchers from the Harvard School of Public Health (HSPH) found that a healthy diet, on average, costs $1.50 more per day compared to an unhealthy diet. 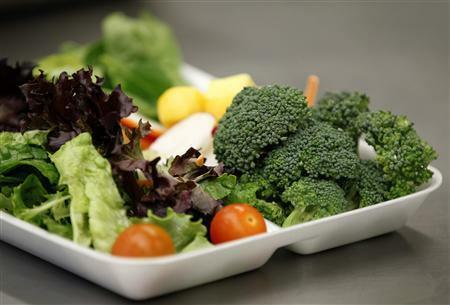 "People often say that healthier foods are more expensive, and that such costs strongly limit better diet habits," said lead author Mayuree Rao, a junior research fellow in the Department of Epidemiology at HSPH. "But, until now, the scientific evidence for this idea has not been systematically evaluated, nor have the actual differences in cost been characterized." Rao and her colleagues from the HSPH examined pricing data for healthy and unhealthy food items using 27 studies from 10 developed countries. Researchers also compared prices per serving and prices per 200 calories for individual food items against prices per day and prices per 2,000 calories for an overall diet plan. Two thousand calories a day is the U.S. Department of Agriculture’s daily caloric intake recommendation. A diet pattern consisting of healthy choices such as fruits, vegetables, fish, and nuts costs about $1.50 more than a diet that features processed foods, meats, and refined grains. Unhealthy diets perceivably cost less than healthy diets due to existing food policies that focuses on the production of “inexpensive, high volume” commodities. This method of food production has resulted in "a complex network of farming, storage, transportation, processing, manufacturing, and marketing capabilities that favor sales of highly processed food products for maximal industry profit." According to the World Health Organization, out of 1.4 billion overweight adults around the world, 200 million men and 300 million women are considered obese. Around 2.8 million adults die each year as a result of being overweight or obese, making both conditions the fifth leading cause of death worldwide. Obesity can lead to various other health complications including cardiovascular disease, diabetes, musculoskeletal disorders, and certain types of cancer. Although the price of a healthy diet exceeds that of an unhealthy diet, the research team does not recommend switching out fruits and vegetables for potato chips and candy just to save on a buck and two quarters, Reuters reported. Instead they recommend similar “inexpensive, high volume” methods of food production for healthy diet plans. “This would represent a real burden for some families, and we need policies to help offset these costs,” Dr. Mozaffarian added. “On the other hand, this price difference is very small in comparison to the economic costs of diet-related chronic diseases, which would be dramatically reduced by healthy diets." Mayuree Rao, Ashkan Afshin, Gitanjali Singh, Dariush Mozaffarian. "Do Healthier Foods and Diet Patterns Cost More Than Less Healthy Options? A Systematic Review and Meta-Analysis." BMJ Open. 2013.